Often criticised for using public money for doling out subsidies and sops to woo the poor, the AAP government appears to have managed its finances well. With Delhi’s GDP estimated to grow at 12.76% in 2016-17 over 2015-16, it is among the fastest growing states in the country. 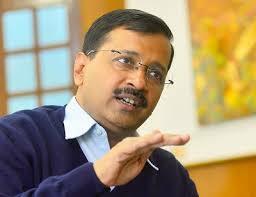 The Economic Survey 2016-17, tabled in the state assembly a day before Arvind Kerjiwal-led government presents its third budget, shows that the government resorted to higher expenditure and yet ended with a surplus. Delhi’s tax revenue went up from 5.40% in 2014-15—when the city was under President’s Rule—to 5.48% of GSDP in 2015-16. Interestingly, the total expenditure too went up from 6.28% to 6.38% in 2015-16. The survey reveals that despite the expenditure, the AAP government ended with a overall surplus of 0.39%. The overall surplus was 0.13% in 2014-15. The tax collection in Delhi has been pegged at 20.84% in the current year, but there has been a reduction in its revenue surplus. The city collected Rs 30,225.16 crore in taxes during 2015-16 with a growth rate of 13.61% compared to 2.64% in 2014-15. Delhi had its fiscal surplus (income exceeding spending) in 2015-16 at Rs 1,321.92 crore, which is 0.24% of GSDP, thus the “overall financial position of Delhi is sound,” the survey says. The report brings to the fore the concern over how Delhi was being deprived of its share in central taxes, which has been “stagnant at Rs 325 crore since 2001-02 as the state has not been covered under the recommendations of the 14th Central Finance Commission”. The flow of central assistance has decreased substantially from Rs 2,020.19 crore in 2014-15 to Rs 1,353.27 crore in 2015-16, mainly due to reduction on account of release of special grant for JNNURM, central road fund, water projects and power sector. The report also noted that the city’s economy has been adversely affected by the global slowdown and its impact directly reflected in the tax collection. However, with the concerted efforts , total tax collection went up to Rs 30,225.16 crore in 2015-16, clocking a growth of 13.61% against Rs 26,603.90 crore in 2014-15. The survey records that Delhi is a prosperous state with the second highest per capita income in India. The average per capita income of Delhi remained more than Rs 2.5 lakh in two consecutive years 2015-6 and 2016-17. The per capita income of the city is almost three times the national average. It’s per capita income during 2016-17, at current prices , has been worked out to be Rs 303073 as opposed to Rs 273618 during 2015-16 showing an annual increase of 10.76%.